505 West 27th St. & 317 10th Ave. Burning in Water - New York is pleased to present Untitled Original 2.0, a solo exhibition of recent work by the Oakland-based artist Oliver Lee Jackson featuring recent paintings,sculpture and mixed media works. Untitled Original 2.0 will be presented in both of our New York gallery locations: 505 West 27th St. and 317 10th Ave. The show precedes an upcoming major exhibition of the artist’s work at the National Gallery of Art in Washington, DC. Featuring 25 large-scale works, Oliver Lee Jackson: Recent Paintings will open at the National Gallery of Art in March of 2019. Born in 1935, Oliver Lee Jackson’s initial emergence as an artist occurred amidst the vibrant, cross-disciplinary arts scene of St. Louis in the mid-1960s where Jackson led a series of community arts programs. Though never formally a member, Jackson was closely affiliated with the landmark Black Artists Group (BAG), which fostered collaboration among black musicians, dancers and theater performers in the St. Louis area from the mid-1960s to the early 1970s. Jackson was particularly influenced by his involvement with avant-garde jazz musicians at the center of the BAG movement, most notably the free jazz musician Julius Hemphill, who became a lifelong friend and collaborator. If you are true to yourself and the inner logic that develops with each painting, unity will take care of itself. The painting and everything in it - whether its the ‘realism’ of a Vermeer or the ‘abstraction’ of a Pollock - is a vehicle for something beyond it. It has to be put together as perfectly as possible, like any vehicle, but it is the vision beyond that gives the painting meaning. In describing his approach to art-making, Jackson repeatedly invokes the terms power and fierceness. His avowed intention for his art is to serve as a conduit towards archetypal, quasi-spiritual spaces that exist outside of the physical realm of materials, form and line. Jackson employs sustained vehemence and rigor in his artistic labors in service of creating a setting for such transformations to occur. Look, painting is not a verbal language - it bypasses understanding…it is pure modality —it is about states of being. And paintings have a certain force, and they cut into you in certain places within your spirituality. Powerful work is direct and feels right, but it is not decipherable. My forms are not illustrations of feelings. The paint is the form the feelings take when they come into the world. Paintings have moral implications only when they can make you stand in front of them and feel the urgency of their relationships. 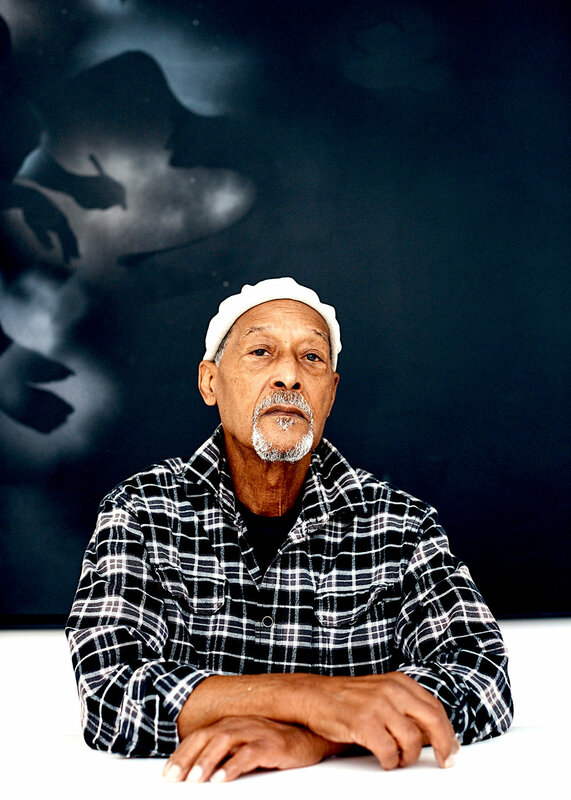 Jackson was an artist-in-residence at Harvard University from 2000-2001. His artwork has been exhibited extensively at major institutions including the Whitney Museum of American Art (New York, NY); the Museum of Modern Art (New York, NY); the Museo de Arte Moderna (Rio de Janeiro, Brazil); the Seattle Art Museum (Seattle, WA); the Museum of Fine Arts (Boston, MA); the Museum of Contemporary Art (Chicago, Illinois); the Albright-Knox Art Gallery (Buffalo, NY); the San Francisco Museum of Modern Art (San Francisco, CA); the Portland Art Museum (Portland, OR); the Los Angeles County Museum of Art (Los Angeles, CA); and the New Orleans Museum of Art (New Orleans, LA). 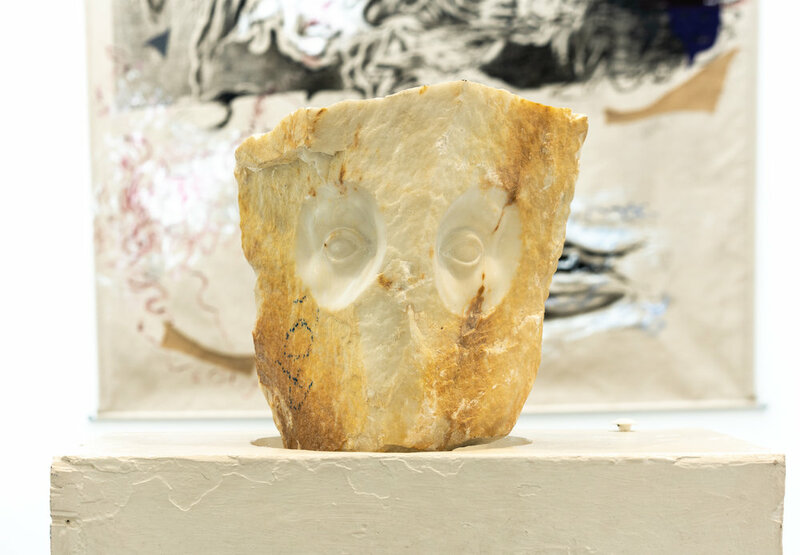 Jackson's recent show at Burning in Water - New York,Untitled Original, was recommended by Artnet News and Time Out - New York and selected as a "must-see" exhibition by Artforum magazine.